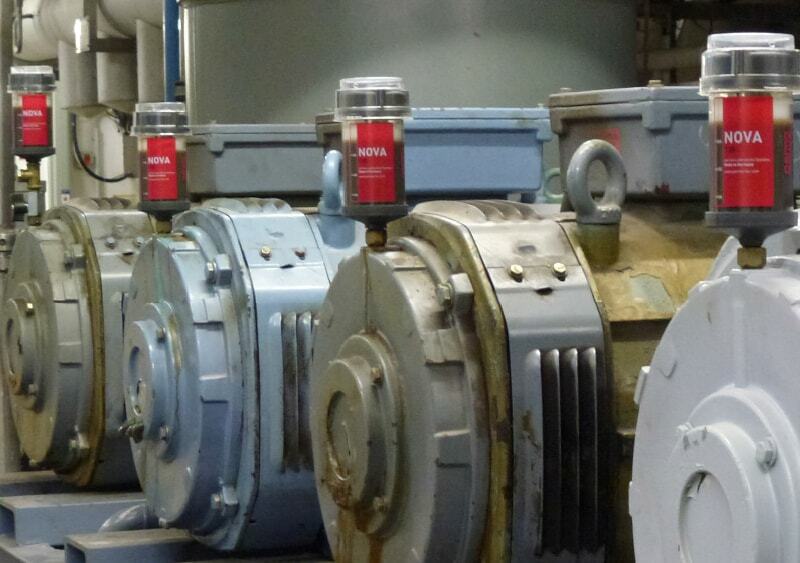 Electric motor bearing re-lubrication is a critical aspect of maintenance. As with other high speed bearing applications, it is important for re-lubrication practices to take the risks associated with over-lubrication into account while providing sufficient re-lubrication to deliver long bearing service life. > Add small amounts of grease at short time intervals using an automatic lubricator which provides accurate dispensing rates, independent of temperature. > Re-lubricate when the motor is in operation. > Always ensure that spent grease can escape the bearing housing via well maintained grease escape holes or collection traps. > Do not use powered grease guns. Lubrication points are located on the drive and non-drive end of the motor. Grease escape (grease drain hole, grease trap, grease relief port) is important. Bearings will overheat if grease cannot escape or if grease traps are fi lled up with old grease. High speed bearings of electric motors must be lubricated with care and with greater precision than lower speed bearings, mainly due to the risk of bearing damage due to over-lubrication. The optimal method for lubricating high speed rolling element bearings is to add grease in small quantities at short time intervals, rather than in large quantities at long time intervals. The method of adding grease frequently in small quantities maintains an equilibrium of full lubrication, avoiding both lubricant starvation and over-lubrication. Over-lubrication of high speed bearings can occur when a large quantity of grease is introduced to the bearing too quickly. The rapid addition of grease can lead to excessive churning and shearing of the grease which can result in elevated bearing temperatures, which in extreme cases can lead to bearing failure. However, even mild cases of over-lubrication can be problematic because the short term elevated bearing temperatures may cause equipment to trip due to “over-temperature” sensing and may cause rapid degradation of the grease. The use of single point lubricators* which develop relatively low pressure (compared to a manual or battery powered grease gun) can also prevent potentially damaging high pressure grease being presented to the bearing. When grease is delivered to an electric motor bearing at high pressure the risk of grease breaching the inboard shaft seal and entering the motor windings is increased. 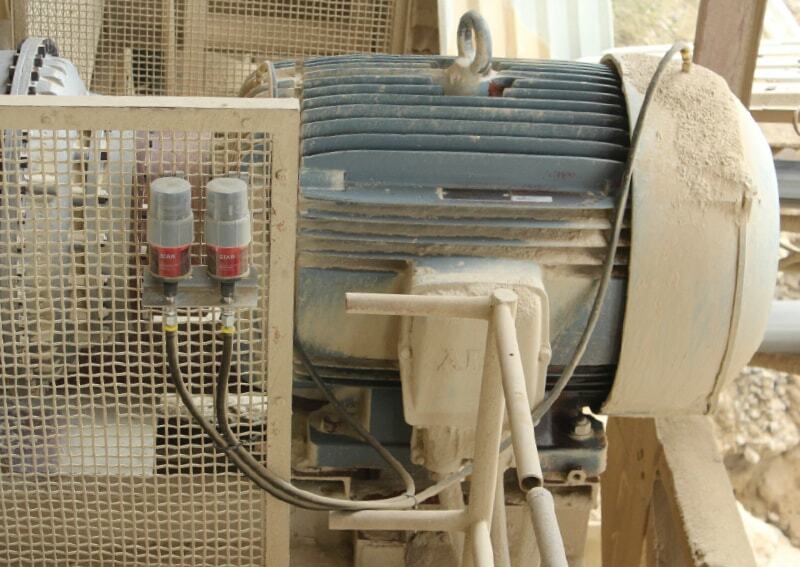 The use of single point lubricators* can reduce this risk.